When experiencing body aches and chills all over the body, do you know what does it mean? Most of the people who experience aches and chills usually think of no other than flu or cold. Chills are parts of common symptoms that people would feel shivering and they might seem pale too. Chills are usually accompanied or signed by the presence of the fever. Then how can people figure out that these aches and chills are the right symptoms of certain illness? Here are some causes of the body aches and also chills that you can observe the further details. 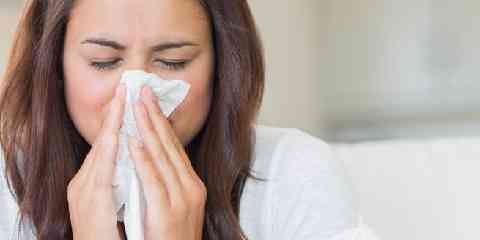 Cold can be said as a common illness which is caused by the infection of upper respiratory tract. In general, adults will suffer from cold between twice to four times in a year. It is contagious and people can be affected when they get into a direct contact. The symptoms of cold are cough, sore throat, runny nose, sneezing, headache, body chills and also aches, and also watery eyes. Some kind of medications might be useful in helping you to get rid of the cold as soon as possible before it gets worse. What is tonsillitis? 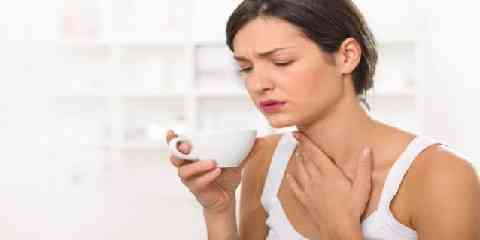 Tonsillitis is a condition that affects not only the throat but also the pharynx and the tonsils. Tonsils are some parts of lymphatic system whose function is filtering the bacteria as well as microorganism which is going to enter the mouth out. There are so many symptoms of tonsillitis. They are headache, ear pain, fever, difficulties in swallowing, sore throat, aches and chills, and also loss of the voice. In order to treat tonsillitis, you can’t treat it with medication since it totally depends on how infectious the infection is. Influenza is the other name of flu. Influenza is an infection that is quite contagious. This infection harms the respiratory systems due to viruses. Influenza has some levels on the severity. Thus people might have different level of severity of the flu. For adults, it may be a common thing but when it comes to infants it would be dangerous. What are the symptoms of flu? Some symptoms of flu are runny nose, cough, sore throat, fever, headache, fatigue, and also chills. For the worse case, people might experience diarrhea and also vomiting. Thus it may affect to pneumonia and also bronchitis. Well, for some people experiencing aches and chills can be a random thing to think of and solve. To sum up all of these, when you are experiencing some of those symptoms mentioned above, you need to be careful since it may have worsened the condition when you do not start action about it. It would be as simple as when you are having fever you need to consume the medications or go to the doctor to get treated in order not to experience typhus or any other worse problems. Thus, these could be the relatable issues based on what you have gotten the symptoms when you experience all over the body aches, cold and chills.